Thank You, North Country HealthCare! We had a great National Breastfeeding Month this August. It started by celebrating World Breastfeeding Week at Wheeler park with Live, Love, Latch! and Global Big Latch On where we had several families come out to support breastfeeding. The exciting end of the month was a generous donation from North Country HealthCare to help us operate the Nursing Mother's Rest Stop at the county fair. The members of the North Country HealthCare team have been long-standing advocates for successful breastfeeding in our community. They have had a lactation consultant on-staff for several years, they host La Leche League monthly meetings, and they continue to increase their numbers of staff members who are breastfeeding counselors. 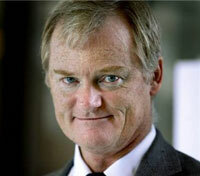 There is even talk of a lactation clinic in the future... wait, did I say that out loud? Its just talk at this point, but we are definitely ready to support them in this endeavor! We would like to sincerely thank North Country HealthCare for supporting our local breastfeeding coalition and our community! We have some fun events planned for Flagstaff's WBW celebration this year! 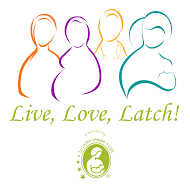 For breastfeeding moms and their supporters, La Leche League of Flagstaff is hosting both Live, Love, Latch! and the Global Big Latch On events at Wheeler Park again this year on August 1st @ 10:00 a.m.. More info on the Facebook event page. 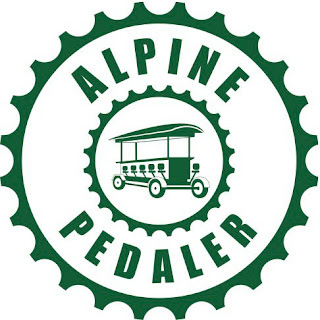 Alpine Pedaler is sponsoring a fundraiser for La Leche League of Flagstaff on August 6th at 6:30p.m. Discounted seat tickets are only $20 and the proceed will be donated to LLL of Flagstaff. For more information and to purchase tickets go to the Facebook event page. Sign up at Survey Monkey here. 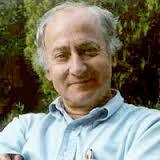 And you can learn more about Dr Bergman at his website here. Another treat for the Lactation professionals... Dr Jack Newman is speaking in Chinle! Chinle Behavioral Health Treatment Center, Rte. 7, 1.5 miles E of Hwy. 191. No Fee to attend. Please keep in mind that they are one hour ahead of us, and plan your trip accordingly. That is the line-up for WBW 2015! Please feel free to contact us for questions and certainly get in touch if you are interested in helping and joining our team of Flagstaff's local breastfeeding coalition. We are here to support, promote and normalize breastfeeding. Peace, Love and Breastfeeding! Join us for the Big Latch-On at Wheeler Park in Flagstaff on August 3rd. Registration begins at 10 am and the latched babies will be counted at 10:30 am. The first 10 registrants will receive a 30 minute massage from Bod-E Healer Massage. We invite participants to bring a potluck item to share for an early lunch. All breastfeeding moms are welcome! This year Chance Pedersen of the Great Latch-On and Perfect Chance Photography will be photographing the event and offering prints to the attending moms. A Big Latch On is a lot of fun! Groups of breastfeeding women come together at registered locations around the world, at a set time they all latch on their child for one minute while being counted by witnesses. The numbers are added up and see if we beat previous Big Latch On records or maybe even the world record! Why have a Big Latch-On? Increase support for women who breastfeed - women are supported by there partners, family and the breastfeeding knowledge that is embedded in their communities. Communities have the resources to and / or advocate for coordinated appropriate and accessible breastfeeding support services. We want to hear your stories! Prizes will be awarded for the funniest breastfeeding story and the most challenging breastfeeding story. We will be giving away a massage at Red 115 Aveda SalonSpa, a 5 Class Punch Card for the Flagstaff Yoga Festival happening August 2-4th, and dinner for two at Fat Olives. Let your story be heard! The winners will be determined by the members of Flagstaff Breastfeeding Coalition and announced at our World Breastfeeding Week first friday open house at Flagstaff Birth and Women's Center, 401 W Aspen on August 2nd. 2010: Dr. Sheila Mackell of Mountainview Pediatrics for consistently using evidence-based policies, practices, and support to make a difference in helping families meet their breastfeeding goals. This year's World Breastfeeding Week (WBW) theme, 'BREASTFEEDING SUPPORT: CLOSE TO MOTHERS', highlights Breastfeeding Peer Counselling. Even when mothers are able to get off to a good start, all too often in the weeks or months after delivery there is a sharp decline in breastfeeding rates, and practices, particularly exclusive breastfeeding. The period when mothers do not visit a healthcare facility is the time when a community support system for mothers is essential. Continued support to sustain breastfeeding can be provided in a variety of ways. Traditionally, support is provided by the family. As societies change, however, in particular with urbanization, support for mothers from a wider circle is needed, whether it is provided by trained health workers, lactation consultants, community leaders, or from friends who are also mothers, and/or from fathers/partners. The Peer Counselling Program is a cost effective and highly productive way to reach a larger number of mothers more frequently. Peer Counsellors can be anyone from the community who is trained to learn to support mothers. Trained Peer Counsellors, readily available in the community become the lifeline for mothers with breastfeeding questions and issues. "The key to best breastfeeding practices is continued day-to-day support for the breastfeeding mother within her home and community." Flagstaff's 2013 WBW events are now in the planning stages. Anyone interested in helping us this year can join our planning group on Facebook at this link. We are a group of lactation advocates and lactation professionals representing the Arizona Breastfeeding Coalition in Flagstaff. The mission of ABC is to work collaboratively to increase rates of breastfeeding initiation and duration, to improve the health of Arizona's families.